At home, loved ones waited breathlessly for news from the front. Any subject would do. What they desired most ardently was the sight of a familiar hand that would tell them their child, sibling, cousin or friend was still fit to write. 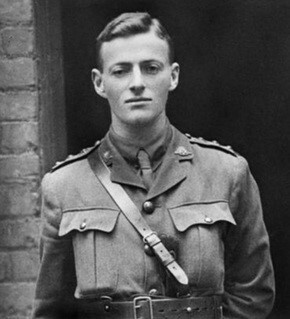 On this occasion Rollo, a prolific letter writer, favoured his parents with an account of whipping his platoon into line with “pretty hard and hot” talk on the subject of their carelessness with the safety catches on their rifles.3 One would hope it was officer training, rather than his primary school teacher background, which helped him most in this regard. A section of the parcels room at the Australian Base Post Office, showing redirection of Australian parcels. This isolation from information was by no means restricted to the home front. From Lemnos, Armitage wrote, “we are quite isolated here – no news at all from Anzac – or from any of the fronts except what we get from the English papers.”[v] Those at home too, gleaned much of their understanding of the war from the papers. Newspapers across the country published letters from the front, in amongst columns of enlistment statistics, and honour rolls of the fallen. This gave families a glimpse into the lives that were so wholly a part of their own and yet beyond their protective embrace. For so many, as for Harold “Rollo” Armitage, killed in action in France on 3 April 1917, they would remain beyond that earthly embrace eternally.